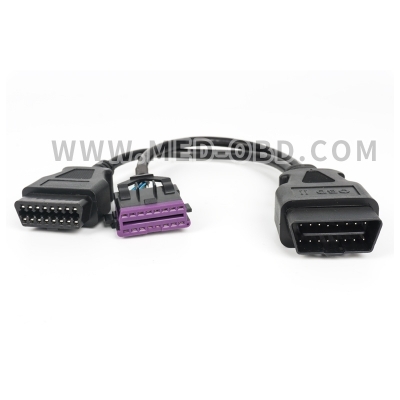 OBD2 Y adapter mounts underdash with 2 screws in the existing OBD2 underdash location. 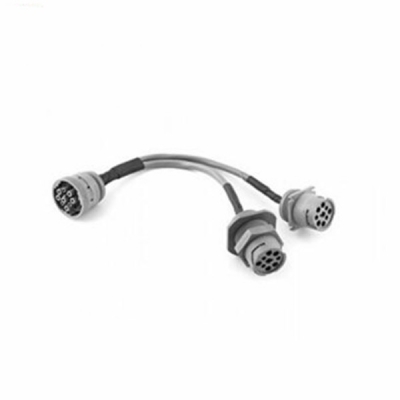 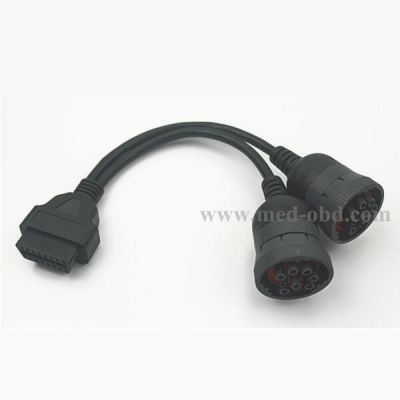 Existing OBD2 connector plugs into the male connector of our Y adapter leaving and extra OBD2 connection adding a seperate Female OBD2 power source connection for gps tracking and mobile electronics, etc. 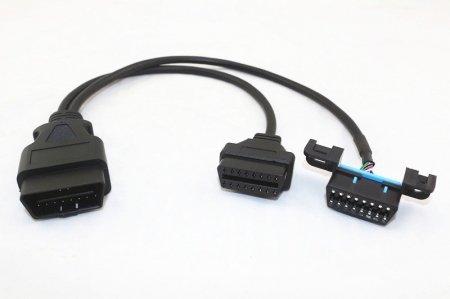 while leaving the access to the vehicles computer for downloading and accessing vehicle codes. 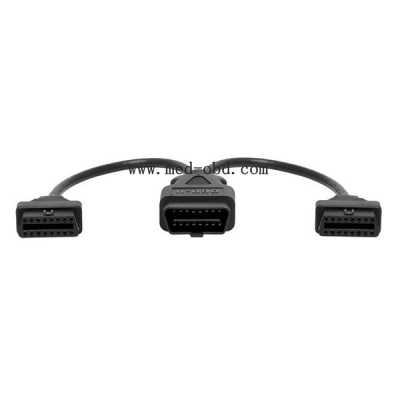 One male to Two female connectors. 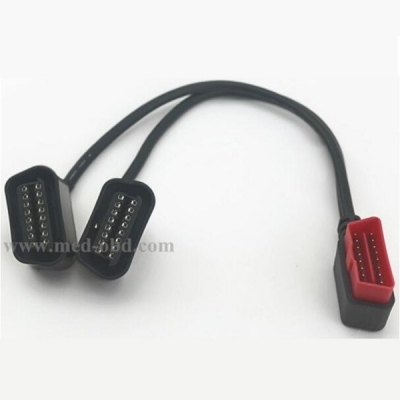 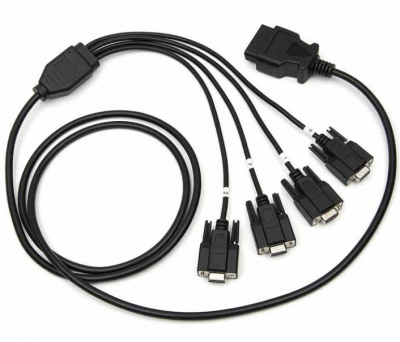 Extra length on under dash mount cable for installation convenience.